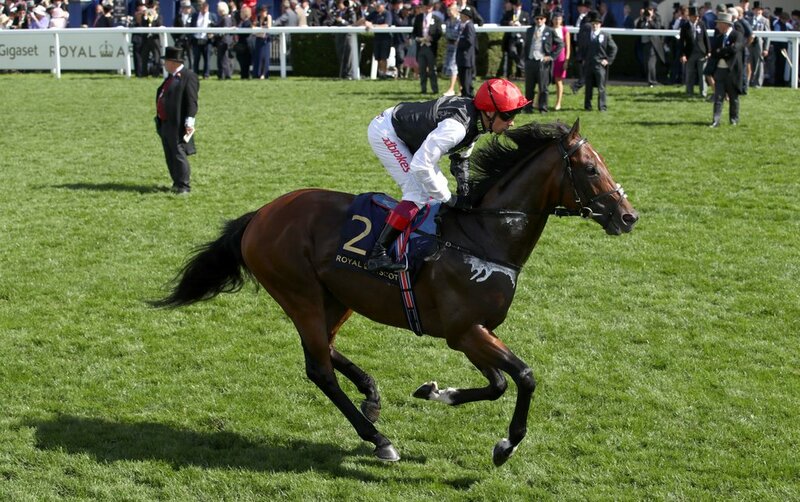 Dual Champion Stakes winner Cracksman will stand at Darley Dalham Stud, it was confirmed yesterday. Darley confirmed that the son of Frankel, trained by John Gosden and owned by Anthony Oppenheim, will retire to the stud based in Newmarket, where he will stand alongside Golden Horn - a former Derby and Arc winner for the same owner-trainer combination. Europe’s highest-rated horse will stand at a starting fee of £25,000. Winner of his sole start as a two-year-old - a race where he beat Stradivarius, Cracksman was beaten less than a length in both the English and Irish Derbies, before storming to wide-margin victories in the Great Voltiguer, the Prix Niel in France and the Champion Stakes – winning the latter by no fewer than seven lengths. This year, he has been frustrated over concerns with the ground. He has however, added three further victories at the highest level to his outstanding record, landing the Prix Ganay, the Coronation Cup and his second consecutive Champion Stakes, once again by a huge margin. His trainer John Gosden said after his defeat in the Prince of Wales Stakes at Royal Ascot in the summer, that retirement loomed, with the young colt's thoughts more on the fillies rather than racing. The victory in his final race at Ascot a few weeks back, earned him a Timeform rating of 136, 2lb clear of Arc sensation Enable; who made history at the Breeders Cup at Churchill Downs at the weekend. Cracksman is the highest-rated horse to retire to stud in Europe since his own sire, Frankel. The only other horses that retired with a higher rating since 2000, are Sea The Stars and Dubai Millennium.